Halloween is a mixed bag of tricks when you have cats. 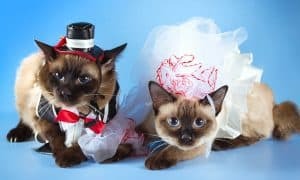 First off, many cats are not big fans of costumes, so trick or treating with your furry family member is not always advised. Second, they’re obligate carnivores so you can’t share candy with them. Finally, you really need to keep your cat indoors and in a safe area so bad folks don’t make her disappear. So, how can you express your love of Halloween and still make your cat feel included? The answer is simple: Yard art. It’s a great way to get in the spirit of Halloween without stressing your pets out. A little creativity goes a long way, but here are some of our favorite props to show off your love of the holidays. What’s Halloween without a scary skeleton in the front yard? 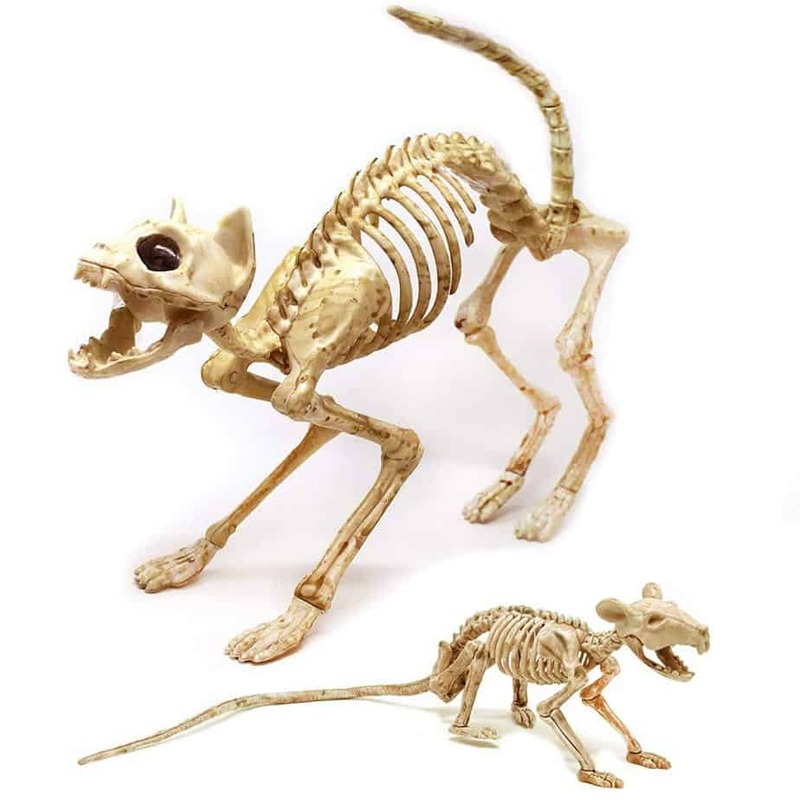 Think about investing in some feline yard skeletons! There are other animal species available, too. You can add in a few dogs, cats, rats, pelicans, and you can even pick up a life-sized horse! 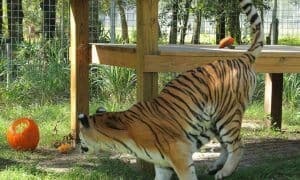 This cat is 11 feet tall! And if you’re looking for a pet cemetery vibe, a cat-themed tombstone may be the decoration for you – they’re fun and forbidding! Other inflatable cats are a bit smaller, but they can be found with animated heads and glowing eyes. 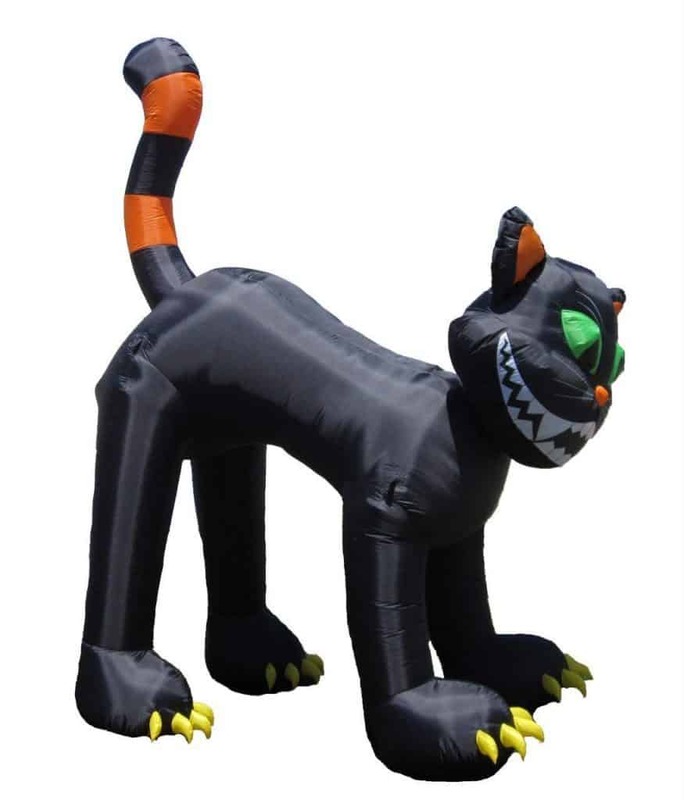 For a more threatening feel, add this inflatable cat to your yard. Don’t forget to pick up a soundtrack of cats to play while you’re doling out treats. Looking for a more realistic cat? 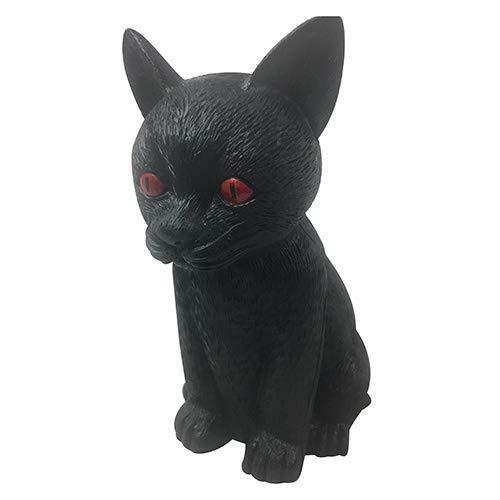 A realistic rubber black cat will cause any auriliphobe (that’s someone who is afraid of cats) to stay off the porch. These rubber black cats are so realistic they’re used as props in haunted houses around the world! 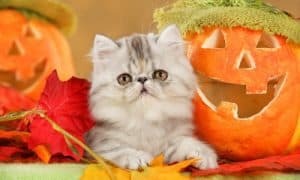 However you choose to show off your love of Halloween, make sure you and your real-life cats are safe inside your home come the witching hour. Happy decorating! 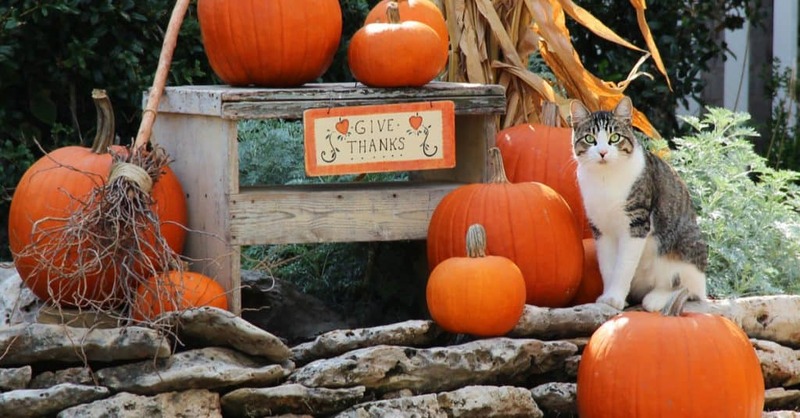 How do you include your cat in your Halloween celebrations? Let us know by posting a comment below.